Currently the founder of TRRAIN- Trust for Retailers and Retail Associates of India. Also, the Non-executive Vice-Chairman, Shoppers Stop he has been with department store since its inception in 1991. Regarded as one of the pioneers of modern retail in India. Mr. B. S. Nagesh, is one of the pioneers of modern retail and has more than 32 years of experience in retail. He is a firm believer of the philosophy of 25 years of learning, 25 years of earning and 25 years of giving back. TRRAIN (Trust for Retailers and Retail Associates of India) is his way of giving back to the industry that gave him so much over the course of a rewarding career. Mr B S Nagesh has been selected as one of the top 50 managers in India in a survey of Managers who can influence Indian business in the 21st Century. Commencing his career in 1982 with Blow Plast Ltd - the manufacturers of VIP luggage and Leo toys, Mr Nagesh has also worked with Orson sales Ltd (1986-1988) and Carona Ltd (1988-1991). He joined the K. Raheja Group in 1991 as a General Manager, to set up the Group's retail business. 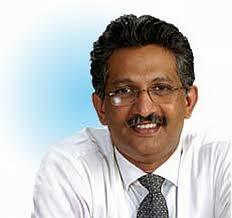 He subsequently went on to be the Managing Director & CEO of Shoppers Stop from the year 1997, till 2009. He is currently the Vice Chairman and Non-Executive director at Shoppers Stop. He holds a degree of Masters in Management Studies from the Benares Hindu University. Mr. B. S. Nagesh has contributed significantly in ushering international brands and modern retailing in the country. Mr. Nagesh was voted by Business India as one of the top 50 managers in India who will influence the Indian business scenario in the 21st century. He has also been recognised as ‘The Retail Professional of The Year’ by CMAI for the years 2001, 2003, 2005 and 2006 and at the India Retail Summit in November 2005. CMAI Apex Awards in July 2008 felicitated Mr. Nagesh for being the First Indian Retailer to be inducted into the World Retail Hall of Fame. ​He was also felicitated with ‘The Best Professional of the Year’ award at ICICI Bank, Retail Awards in 2005. In November 2006, Mr. Nagesh was awarded the ‘Entrepreneurship Award’ in the Enterprise Scions Awards instituted by DNA Money and the ‘Visionary Award’ by ICFAI. Ernst & Young nominated him for the Entrepreneur of the Year Award 2005 as one of the top 30 finalists.